Click here for all Rep. Nunes videos. 04.19.2019 - The data requested is temporarily unavailable. Please check back later. 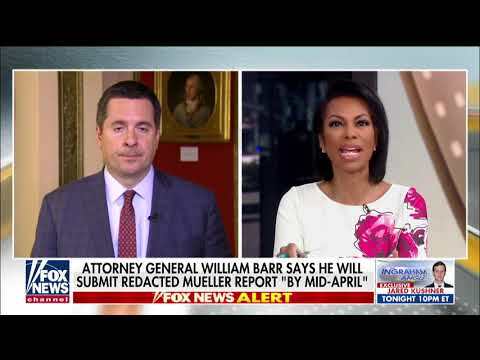 Congressman Devin Nunes discusses the Mueller Report, set to be released Thursday, on 'The Ingraham Angle,' April 16, 2019. 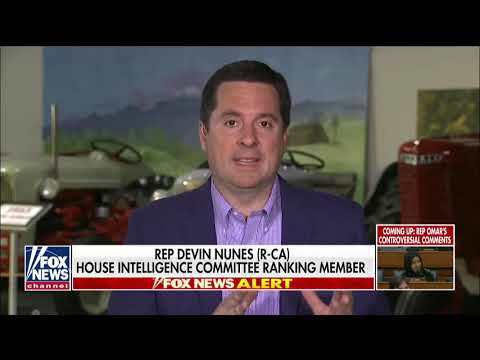 Congressman Devin Nunes discusses criminal referrals and next steps on 'Hannity,' April 12, 2019. 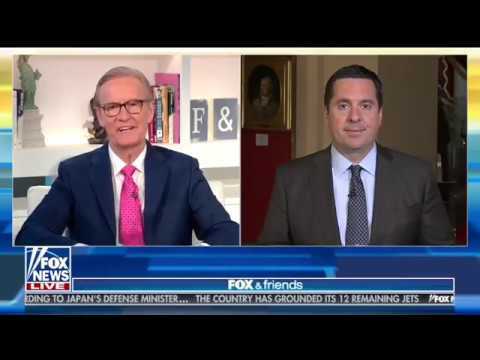 Congressman Nunes discusses criminal referrals and lawsuit on 'Fox & Friends,' April 10, 2019. 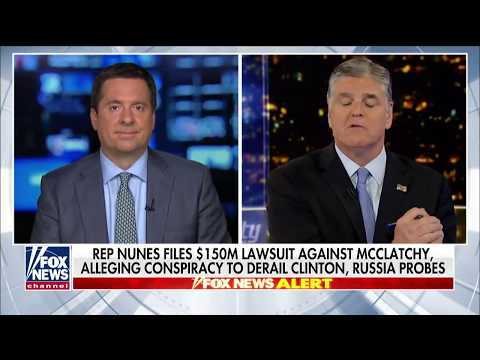 Congressman Devin Nunes discusses filing $150 million lawsuit against McClatchy alleging conspiracy to derail Clinton and Russia probes on 'Hannity,' April 8, 2019. 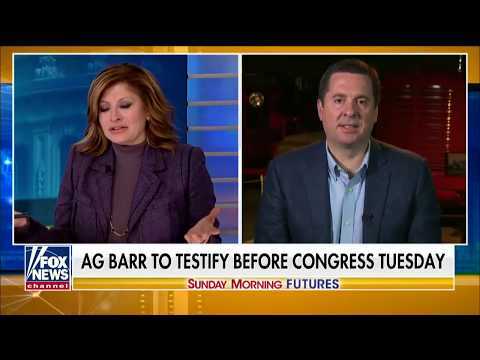 Congressman Nunes discusses plan to send eight criminal referrals this week to Attorney General Barr on 'Sunday Morning Futures with Maria Bartiromo,' April 7, 2019. 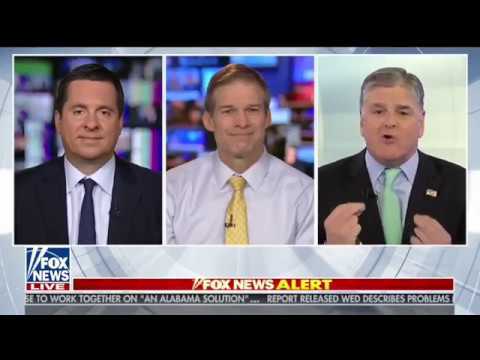 Congressman Devin Nunes joins Congressman Jim Jordan on Hannity to discuss the Mueller report and criminal referrals, April 3, 2019. 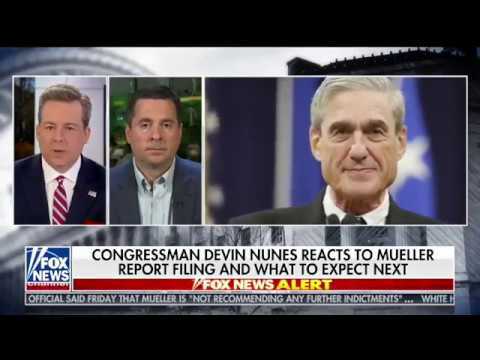 Congressman Devin Nunes calls for underlying evidence of Mueller Report and discusses criminal referrals on 'Outnumbered Overtime,' April 1, 2019. 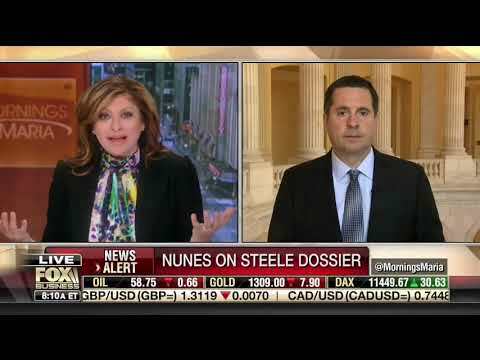 Congressman Devin Nunes discusses the Mueller report, criminal referrals, and the Russia probe on 'Mornings with Maria Bartiromo,' March 28, 2019. 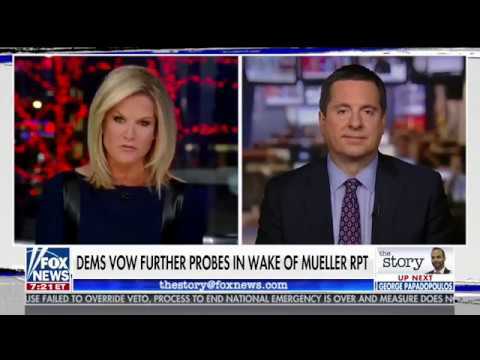 Congressman Devin Nunes discusses the Mueller report and criminal referrals on 'The Story with Martha MacCallum,' March 26, 2019. 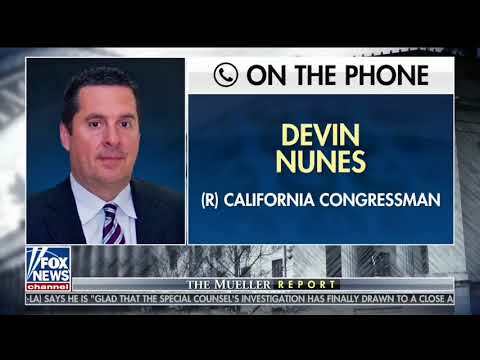 Congressman Nunes calls in to Fox to discuss the Mueller report, March 24, 2019. 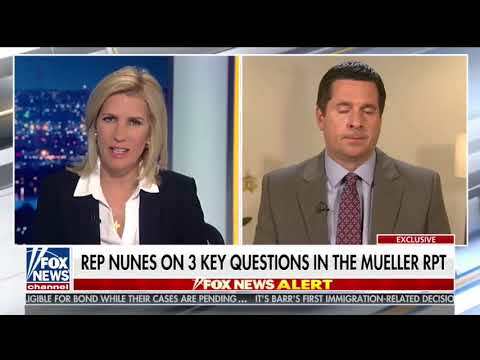 Congressman Devin Nunes reacts to Mueller report filing on Fox News, March 23, 2019. 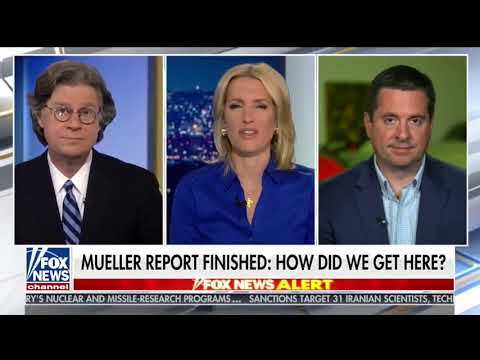 Congressman Devin Nunes joins Byron York on 'The Ingraham Angle' to discuss the Mueller report, March 22, 2019. 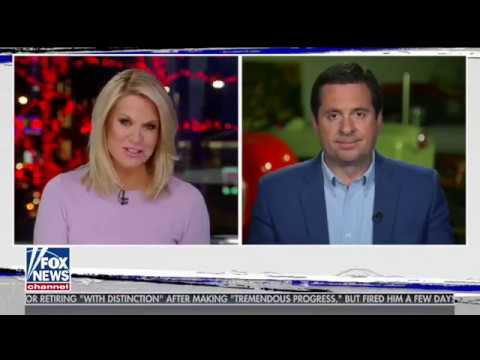 Congressman Devin Nunes discusses lawsuit against Twitter on 'The Story with Martha MacCallum,' March 19, 2019. 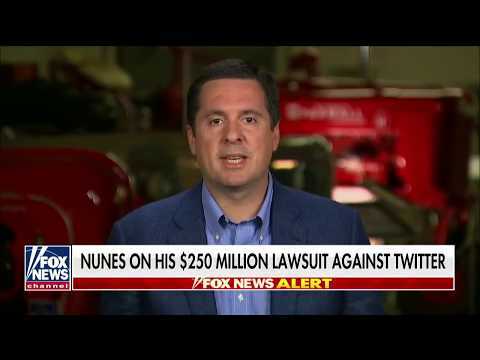 Congressman Devin Nunes explains his lawsuit against Twitter on 'Hannity,' March 18, 2019. 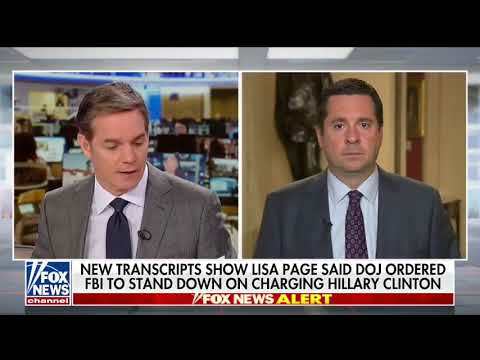 Congressman Devin Nunes discusses Steele deposition, Lisa Page testimony, and "insurance policy" text message on 'America's Newsroom,' March 14, 2019.